The album kicks off as singer Garrett Hobba recalls, “once we got lost in the oak-covered hills.” The following two songs are rounded off by classic Americana guitar and traditional instrumentation, but don’t be mistaken; pigeonholing Chromatisms as just another folk-esque release from the Pacific Northwest is about as inaccurate an assumption as believing a microphone in the hands of self-proclaimed pop enthusiast Jarvis Cocker is going to result in a family-friendly sing-along. The moody, melancholy bass and gentle guitar of “Marigolds” could have been plucked from an unreleased Jonathan Wilson session, while the vocals evoke the eerie harmonies of Grizzly Bear. The band’s use of a minimal, echoing synth in “Payroll” would certainly have garnered the approval of Sonic Boom in the early years of Spectrum. While this all may sound as if the record is an uninterrupted 40 minutes of mellow rock, the droning guitars and triumphant cacophonies of “Dear Mr. Moonlight” proves otherwise. 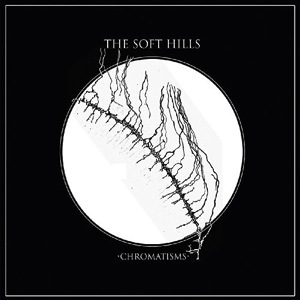 The Soft Hills are not making music to fit into a movement or scene; they create what they please and explore where they need. And that is what sets Chromatisms apart as a release worth getting to know.